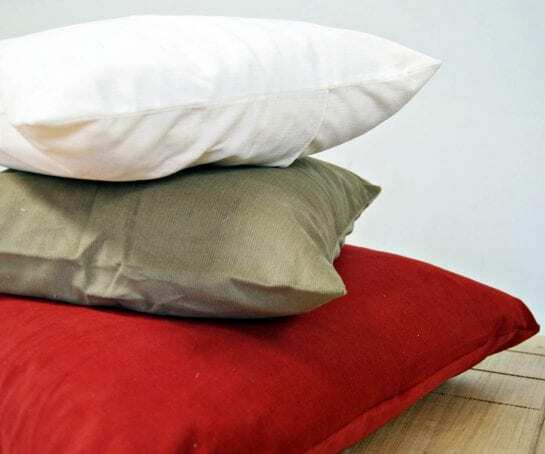 Soft and luxurious, these cushion covers made from 100% Organic Cotton Corduroy are a lovely addition to your bedroom or lounge. Easy to put on and remove through the envelope insert on the back. Made in an Organature Sewing Room with GOTS certified fabric from the EU. Available in a range of Colours: Natural (no bleach/ no dye), and Herb dyed – Madder Red and Bark Brown. 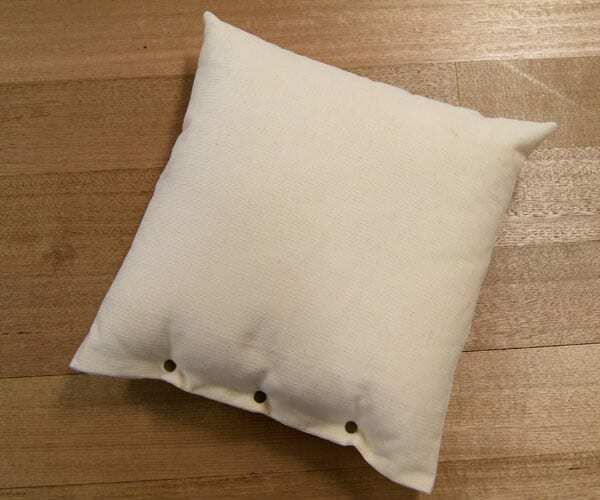 Available in a range of Sizes: 40 x 40 cm or 60 x 60 cm in size, they are the perfect size for the cover in Organature 100% Cotton Cushion insert or Euro pillow. 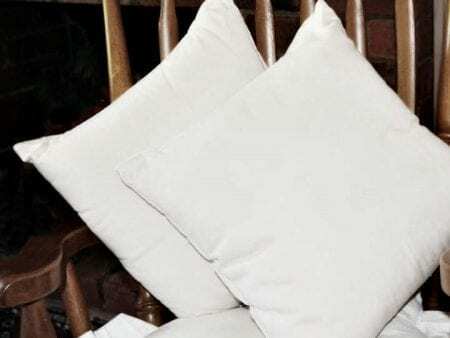 40 x 40 cm ONE ONLY 100% Certified Organic Cotton Covers made from our soft corduroy. 60 x 60 cm ONE ONLY 100% Certified Organic Cotton Covers made from our soft corduroy. Please note that the Bark Brown and Madder Red Corduroy are herb dyed, under organic certification these dyes cannot be “set” as the process uses harmful chemicals. As a consequence these dyes will bleed to start with, so we suggest you wash the cover several times with added salt in cold water before using. 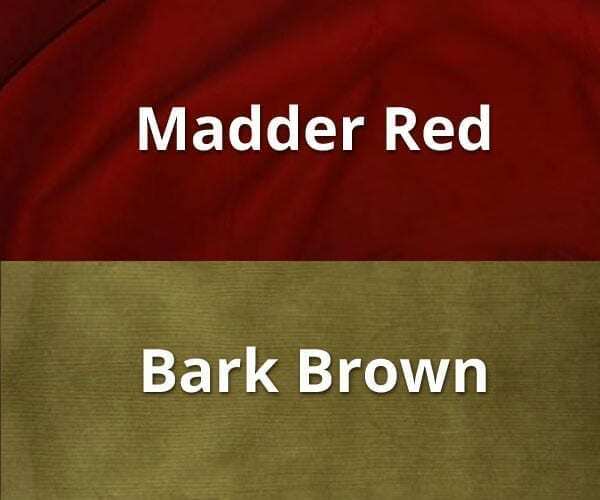 The colours as you see them on the covers will change when washed; the bark brown (olive) will turn brown and the red will fade to a Madder Red. This is not a fault, it is the nature of such dyes.